Sat., Nov. 24, 2018, 8 a.m.
ABU DHABI, United Arab Emirates – Five-time Formula One world champion Lewis Hamilton clinched pole position for the season-ending Abu Dhabi Grand Prix on Saturday. The Mercedes driver’s 11th pole of the season and record-extending 83rd of his career looked in some doubt as Ferrari’s Sebastian Vettel was quicker at the first time split. Vettel felt he could have done better. Kimi Raikkonen was fourth fastest in his last race for Ferrari before leaving to join Sauber next year. Red Bull drivers Daniel Ricciardo and Max Verstappen will start from fifth and sixth on the grid, respectively, on a track not well suited to their car. Hamilton is aiming to sign off with an 11th win of the season, while Bottas has yet to win one and Vettel’s last victory came at the Belgian GP in August. For the second straight year, four-time F1 champion Vettel led during the championship – and was close behind Hamilton at the halfway stage. Vettel finished 46 points behind Hamilton last year and trails by 81 heading into Sunday’s race. 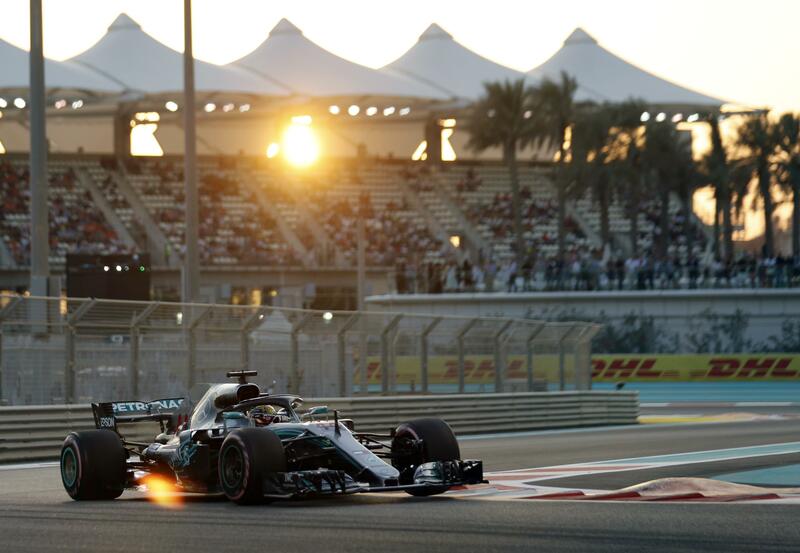 Earlier, Hamilton posted the fastest time in the third and final practice in hotter conditions at the Yas Marina desert circuit, about 0.3 seconds ahead of Vettel and 0.4 ahead of Raikkonen. It is Ricciardo’s last race for Red Bull before joining Renault next year, and McLaren veteran Fernando Alonso’s last ride in F1 before the 37-year-old Spaniard leaves to pursue other racing interests. Near the end of P3, there was a heated moment between Toro Rosso driver Pierre Gasly and Romain Grosjean of Haas when they narrowly avoided colliding. The Frenchmen made up afterward as Grosjean went over to speak to Gasly, who patted him on the back. Sunday’s race begins at 5:10 p.m. local time (1310 GMT) and ends under floodlights. Bottas has not won since last year’s season-ender in Abu Dhabi. Published: Nov. 24, 2018, 8 a.m.